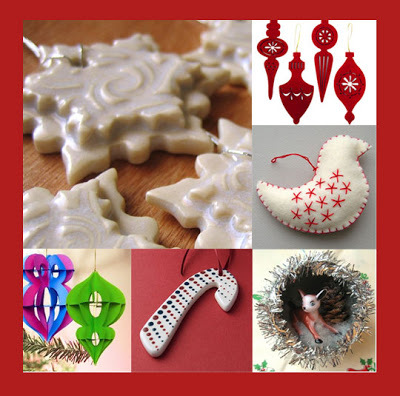 I’ve been searching for some cute little ornaments – they can make a lovely gift. Last year I found 3 dinosaur ones for my boys. My favorite ornament here is the kitschy deer, I think it is too fabulously cute to be allowed out any other time of the year. For me, taste goes out of the window at Christmas – I think it’s too funny that I have the head-swaying-deer in the front garden – but of course restrung with led lights. Just can’t help it…..